For the first time in over a month, we have seen a rise in both dry van and reefer spot rates. The shorter holiday week was one cause of this, but a more unanticipated cause was the FEMA loads that were headed to the east coast prior to Hurricane Florence. We should anticipate this storm to cause higher spot rates and tighter capacity going into the next few weeks as delayed shipments get re-scheduled, and shippers attempt to play catch-up. Our thoughts and prayers go out to the communities affected by this storm. Taking a look at a current heat map, we can see the stress that is being directed towards the Mid-Atlantic States. This is another result of the storm that has been approaching the east coast throughout the week, where we can see shippers trying to move product before Florence made landfall. This region is averaging five available loads for every one truck in the area, contributing to the rise in rates. Unrelated to the storm, we are seeing a rise in outbound California freight. This increase has been anticipated for some time. 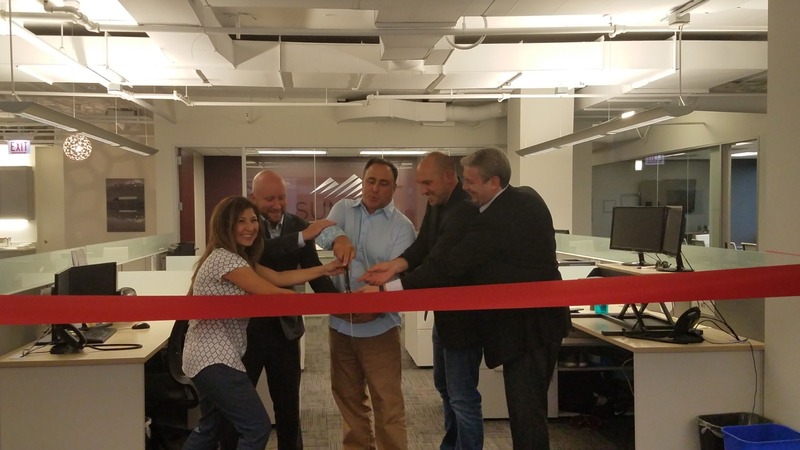 Summit Expedited recently held a Customer Appreciation and Ribbon Cutting Ceremony at our new office on September 6th, 2018. It was a great opportunity for the team to celebrate our first month at the new location, and to show customers our appreciation and gratitude for being apart of the SEL community. Thank you to everyone who was able to take part in this celebration, it truly was a fantastic way to memorialize this moment in Summit’s history!